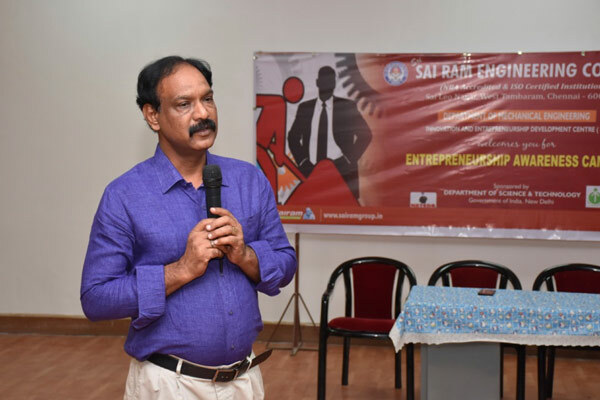 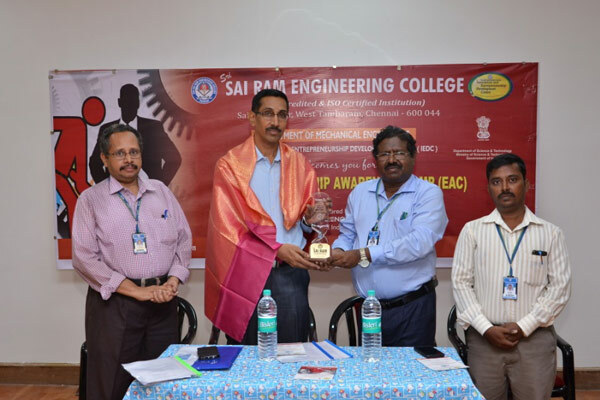 Home » Photo Gallery » The Department of Mechanical Engineering in association with Innovation and Entrepreneurship Centre (IEDC) Entrepreneurship Development Institute of India (EDII) organized Entrepreneurship Awareness Camp (EAC) from 04.07.2018 to 07.07.2018. 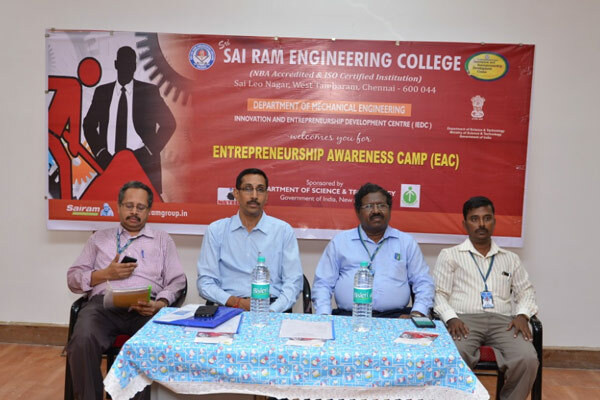 The Department of Mechanical Engineering in association with Innovation and Entrepreneurship Centre (IEDC) Entrepreneurship Development Institute of India (EDII) organized Entrepreneurship Awareness Camp (EAC) from 04.07.2018 to 07.07.2018. 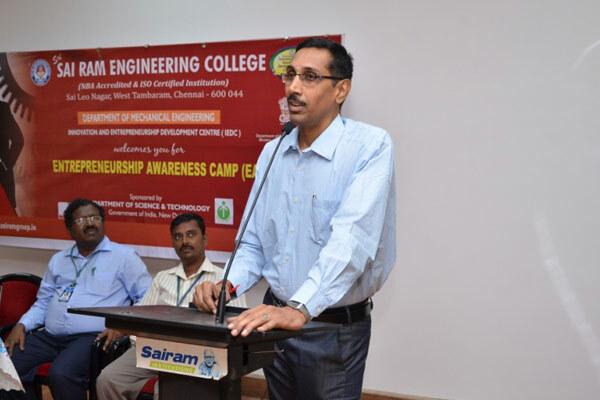 ShriV.Ramakrishnan, Deputy Director, MSME Development, Chennai delivered the inaugural address.